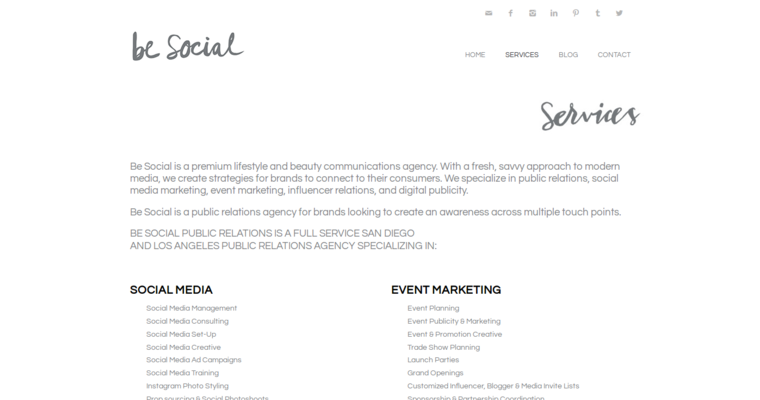 Be Social is a prestigious public relations firm that prioritizes identity branding. It's a company that's run by women. Women created it in the first place as well. The diverse services that are accessible to clients of Be Social are talent management, digital marketing, publicity and influencer relations. Be Social is in Los Angeles, California. The company is equipped with presences on various widely known social media platforms. 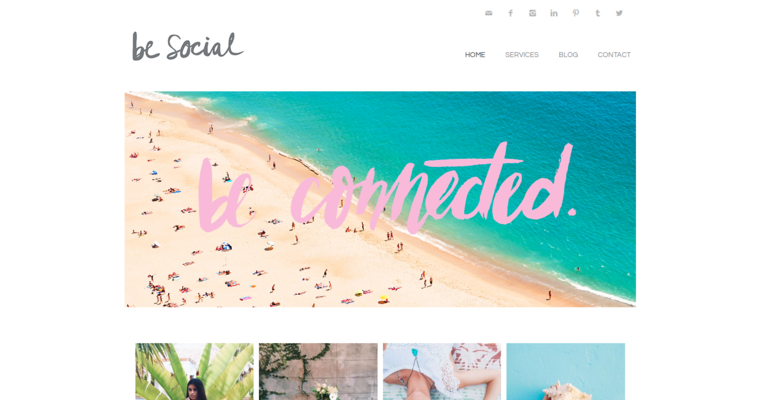 It puts a lot of care into Facebook, Instagram, Tumblr, Twitter, Youtube and even Pinterest. The employees at Be Social are all creative communications wizards. They have in-depth knowledge that involves topics like well-being, lifestyle and beauty. The team members at Be Social interact with all sorts of individuals all of the time. 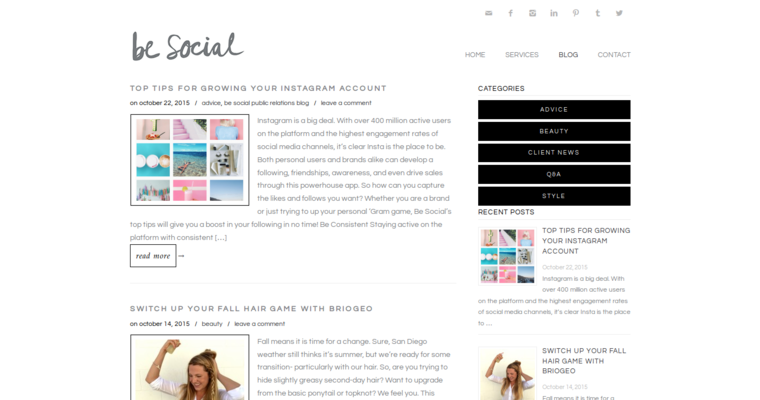 They interact with people who have YouTube channels, bloggers and editors for magazines. Clients that want help with social media reporting and community management frequently collaborate with Be Social.